Matt Scott, Vice President with F&B Financial Group, has more than 10 years of residential mortgage planning experience with FHA, VA, Jumbo and Conventional financing. Matt offers a tireless work ethic, hands-on approach with all mortgage clients, and face to face client meetings to ensure accuracy from start to finish. He is service driven to meet deadlines and has strong attention to detail. He takes pride in ensuring the customer has a great experience. His extensive experience with buying strategies for primary homes, second homes or investment properties has provided invaluable knowledge to the many first time homebuyers, real estate investors and current home owners looking to upgrade to meet the demands of their growing family. Today, primary focus of much of the mortgage market is purchase, debt consolidation/reduction and reverse mortgages. In the last 3 years Matt has worked with more than 100 families to purchase a home in the Saint Louis area and with a total value of over $70 million. A majority of Matt's business has originated from client referrals. Matt graduated from the University of Missouri-Columbia in 1999 with a Bachelor of Science in Personal Financial Management. Go Tigers! Matt has been originating loans through F&B Financial Group for the last five years and has been recognized as one of the top loan officers since joining the company. "Matt and team made the process smooth and seamless - from pre-approval through closing. He knows the market so well, he helped predict the best timing to lock in at the best rate. We had a great experience and highly recommend him. Our agent also expressed how he went above and beyond by providing closing information early to facilitate visibility and alignment, and by providing us with multiple loan options - some she'd never seen before. We feel he truly looked out for our best interest." "Trusting, credible and efficient are several key words that describe Matt Scott and the experience we've had working with F&B Financial Group. My wife and I have depended on Matt to guide us through the often confusing and complex mortgage process. His ability to clearly articulate the mortgage/refinancing alternatives and streamline the process, make him an ideal choice to work with on refinancing or new home purchases. We have used his services numerous times and would recommend him to anyone exploring their options!" "I appreciated working with Matt on my refinance. Not only was he available anytime I had a question but he also explained the process in detail every step of the way. I would definitely recommend Matt for any work with your mortgage needs." Thanks for your help getting our house refinanced. I knew the rates were great and that Steph and I would be looking at saving some money with the right refinance plan. However, with a busy work schedule that requires a lot of travel, I was skeptical that it would be more time and work than I was willing to put forth. You reassured me that you would do all the work leading up to closing and that it really would be hassle free. You came up with several different refi options, explained the difference and gave us your professional opinion, and ultimately helped us decide on the type of loan which fit our long term goals. Well, thank you! We were able to drop our rate substantially and save a nice chunk of change every month. And the best part was the fact that all we had to do was show up to closing and sign the paperwork, which took about 20 minutes. "I look forward to working with you again in the future and would recommend you to anyone looking for a quick and easy way to take advantage of the great rates being offered." Chris and Steph Kolb - Cardiva Medical, Inc.
"My husband and I were first time home buyers and with Matt's help, our experience could not have gone any better! From preapproval to signing the final papers on closing day it went so smoothly. Matt was extremely organized with all the paperwork, was always quick to respond to any questions asked and walked us through every step of the process so we felt comfortable. He was thorough with his work and we would highly recommend him! " "Matt Scott was wonderful to work with during our recent re-finance. He kept us informed of all of our options and provided us with all the detail necessary to make the best decision. He remained patient with us when we decided to change options mid-process and made sure we always had up-to-date information. From the appraisal to the closing, he made the whole process seamless and easy for us. Matt was also always easy to reach and quick to return phone calls and e-mails. We will definitely work with him in the future!" "We recently bought our first home and we used Matt as our mortgage lender. As first timers, Matt was very good at explaining each and every process we went through to get us to the final step of signing the papers. He was quickly responsive to all of our questions and always made sure we understood what we were doing. Matt was very easy to work with and always available when we needed him. I would definitely recommend to anyone, that working with Matt is a good idea!" "My husband and I just bought a home with the help of Matt Scott. He made the process easy, understandable, and stress free. We instantly felt that we could trust Matt that he would guide us in the right direction. He kept us informed and made sure every detail was taken care of. We were very pleased with his services and would definitely recommend him to our friends and family." "Working with Matt Scott and team was a great experience. Matt served as a guide every step of the way and made the process as easy as possible. The team went above and beyond by having my loan ready to close nearly a week early. Fantastic service!" "My fiancée and I just bought our first home together. We were referred to Matt to help us with our mortgage loan. We were very fortunate to have Matt referred to us. The home loan process was simply described, and Matt helped us every step of the way. He was extremely accommodating with meeting our work schedules as well and was willing to meet us at inconvenient times in order to ensure our loan was processed to plan, without much interruption of our work day schedules. I made a joke that I collected coffee mugs and had mentioned to Matt that with all the numbers and signing involved with finalizing a loan, we should at least receive a free coffee mug. Several weeks later, at the closing table, our coffee mugs were waiting for us. Matt is a great listener, and goes above and beyond to make a home buying experience pain free and easy to understand. Any and all questions we may have had were answered quickly, and we were always left with the peace of mind that we were certainly in good hands with Matt. Thanks, Matt, for making our dream home come true. We consider you a friend, and will continue to refer any of our family and friends to you." "He was very helpful and did the job very fast. First i worked with different bank but it did not work out and my agent recommend him. And we did the closing in three weeks. We were first time buyer, and we did not know much about buying a house, but Matt helped us a lot. Thank you very much. Definitely I will recommend him to everybody." end. I would (and have) recommend him to anyone looking to purchase or refinance." admittedly difficult to work with on things like this (me). I'm sure you'll think likewise too if you have the opportunity to work with him. did a great job explaining everything about the loan process. He also gave me a heads up on what the underwriter was going to be asking for so I could have the documents prepared when the underwriter contacted me. Overall, it was a very smooth and painless process and he made it possible for me to close on time." "I worked with Matt and his team and came away highly impressed. Matt's knowledge of the subject matter and ability to communicate the information clearly removed a great deal of the stress that comes with being a first time buyer. My path to home ownership took some unexpected detours, but Matt was always available to answer any question I had or provide counsel promptly. I would highly recommend Matt to anyone looking to buy or refinance." "We have worked with Matt on several of our past home purchases and wouldn't use anyone else. He works hard to get what's best for his client and to communicate current market and rate conditions in a educational way. Personal service always came first in our decision to use Matt." "We used Matt and his team to purchase our new home. Right from the start he was great. He answered the questions we had, and was there for us through the entire process. We really appreciate his help and couldn't be happier in our new home." "Matt helped us in closing on our home purchase. He was very helpful, knowledgeable, and responsive during the entire process. I would highly recommend him." "Matt has been fantastic to work with through the process of buying our new home. In fact, if it were not for Matt acting quickly on our behalf as we were driving home from a vacation, we would not have been able to purchase our dream home. Amazingly, and over the phone as we were cruising down the interstate, Matt was able to change our loan approval from contingent on the sale of our home to non-contingent. Due to a competitive buyer who was already non-contingent, we would have lost the bid to purchase our new home without Matt's help. Aside from that day, Matt himself has been available on weekends to take calls and help us through the process. His team was also responsive and professional through the entire mortgage process. I would, without hesitation, recommend Matt to anyone who is seeking to finance a new home, or refinance and existing loan. Great job Matt and team!" "I have now had the pleasure to work with Matt on two occasions. Matt is always helpful, knowledgeable and finds the right financing vehicle to meet your needs. Personally I would recommend Matt to anyone interested in financing or re-financing a home. He is top notch and in a class by himself." "Matt and his team were on top of each step of the process. For such a stressful event, their knowledge and proactive approach took a lot off of my shoulders. I would refer all my friends and clients to Matt and his team." "Matt was absolutely fabulous. He was able to close our loan in record time (only 2-3 weeks) and was so helpful and friendly, I will recommend him to all my friends and family. Even our realtor was highly impressed with Matt and said she hopes to work with him again." "Working with Matt Scott and F&B was seamless. He was there throughout the entire process to answer any questions we had and was happy to explain anything that we didn't understand. I would 100% recommend using them for a home loan based on the experience we had. Not only did we close on time, but the seller of the property we purchased from needed to close 10 days earlier than we had originally agreed on due to his deployment for the army, and Matt and his co-workers at F&B got everything finished for the new deadline without adding any stress on my wife and I. Thank you so much Matt!" "This was my first time home buying experience and I was shocked at how easy it was. Matt and his team made sure I was informed and included every step of the way. I felt very comfortable asking questions and was always met with kind and quick answers. I will recommend Matt Scott to everyone I know that is looking to purchase a home. Thanks for the painless experience!" "I'm a real estate agent and have been referring my clients to Matt Scott for years. I'm always glad when the client does choose F & B because I know it will be a smooth transaction, at least on the financing end of things. Buying a home can be a stressful time and It's great to know that my clients will receive personable treatment and that deadlines will be met. I just refinanced my personal mortgage and am now a satisfied customer myself. Things went just as I expected and I look forward to continuing my business relationship with F & B Financial!" "Matt and his team were fantastic during the whole home purchase process. No matter the question, Matt got back to us in a timely fashion and made sure everything went smoothly. Anytime an issue would come up, either Matt or someone from his team would quickly step in and make sure it was taken care of. It was our first time buying a home and with the help of F&B Financial they made it seem easy. If you are looking to finance a new home I would highly recommend reaching out to Matt!" "Matt was very easy to work with. As a first time buyer, Matt was very helpful in answering all (probably too many) questions that I had. He did so with patience and understanding. Additionally, he provided me the necessary guidance I needed in order to make informed decisions. Without this guidance, I could have made some considerably wrong decisions. Further, Matt made himself available to me when necessary. If he was busy during a certain time, he made sure to let me know when he would call back or would be available in the future. I couldn't have asked for someone better to work with during my first time buying a home." "I was skeptical when my buyer told me he was going to use a lender I had not worked with, but my experience with Matt Scott of F & B Financial was one of the best I have had during my 36 year career in real estate. Matt and his staff kept me informed every step of the way, and if I did have a question, they responded right away, even after hours and weekends. I would not hesitate to recommend his services to any of my clients." "Matt and his team are a pleasure to work with when buying a new home, we all know the process is not always seamless. It makes a big difference when you are working with experts and the stress is certainly minimized. Proud to say I am a client of Matts and F&B! "I cannot thank Matt, Joann and team at F & B Financial enough for saving us. We had made the mistake of going with another lender. Turns out they did not order the appraisal by Loan Title date on top of that the appraisal came back $20,000.00 lower than we were paying for the home. The Loan company, which remain nameless, just thought we the buyers would be willing to bring an extra $20,000.00 to closing and pay PMI insurance. NOT THIS BUYER, I immediately called Matt Scott, with one week until our closing date, he got the appraisal done and it was appraised at the sales price of the home, which alleviated our need to bring extra cash (we didn't have) and PMI, the closings costs were $400.00 cheaper than the 'other' lender and the rate was better. Matt and team literally saved us from losing the home of our dreams., all within a weeks time. I highly recommend F & B!" "Matt was so helpful during the whole process of buying a home. We saw a home at 1 pm, and knew we had to have it asap. The sellers were interesting in a quick closing, so our realtor called Matt and asked when the quickest we could close was.... 3 Weeks!!! He got it done, answered all of our questions, and made things happen for us. We were very lucky to have had Matt recommended to us. Hands down, if you are in the market, use Matt Scott!" "No wonder so many stars.... Matt, Joann and team at F & B Financial were always accessible, knowledgeable about the process, but more importantly they cared about what our goal was and not theirs. Service was fantastic and kept us up to date and moving forward the entire time. Thank you all so very much." "From the first visit to Closing Matt showed great competence, exceptional courtesy and total dedication to customer satisfaction. 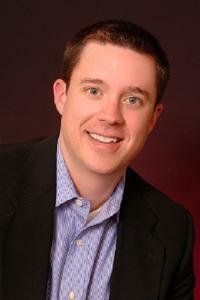 Matt also provided prompt and clear guidance during the mortgage acquisition process." "Matt and his staff at F and B Financial were excellent to work with and most professional in their dealings with us. We would highly recommend Matt Scott to all who are interested in securing mortgage financing." "Matt is great to work with. He is honest and straight forward. He advised me correctly and made my home buying experience better and smoother. I would recommend him to any home buyer for obtaining loan." "I don't believe our contract would have been accepted on our new home if Matt had not done some really excellent, fast work! I am very thankful we were referred to him by our agent. He really did "save the day" which allowed us to purchases our wonderful new home!" "Excelling experience. Very professional and enjoyable to work with! Thanks Matt!" "Matt, Joanne, and team were excellent. They answered all of our crazy questions no matter when we called." "Matt is very personable and knowledgeable when I had questions. He also was able to be reached at almost any time of the day and was very accommodating with my schedule." "We had a great experience overall with Matt Scott! Everything from getting approved for our loan all the way to closing went smoothly and just as expected." "Matt and his team was amazing to work with! They went above and beyond for me and I couldn't be more grateful." "Matt Scott and his team at F&B Made my experience of buying my first home very enjoyable & memorable. They were there to answer my questions & guide me every step of the way. Excellent service!" "Matt and Joann were wonderful. Always available to answer questions and guided me through this difficult process with ease. They were very upfront about both our expectations and even went a step further by giving me advice on increasing my credit." "Matt was such a tremendous help with my mortgage lending experience. He was available to help me on weekends, and during non business hours. He was knowledgeable, respectful, and kind. Highly recommended." "Matt answered every single one of my questions in a timely manner and went far above and beyond to get me my pre-approval in time. My case was complicated as I was relocating from the UK to St. Louis area yet he seemed to know every in and out and was able to walk me through each nuance and need with ease. Thanks, Matt! Would recommend to anyone." "As first time home buyers, we felt Matt Scott and his team at F&B Financial made the loan process as smooth as possible. All of our questions were answered in a timely manner and there was constant communication throughout. Everyone was very helpful and we definitely recommend F&B Financial to anyone looking for a great loan experience when purchasing a home." "Matt Scott has handled multiple transactions for my clients and has given top notch service to all. On task to the finish line and after. Knowledgeable, friendly and a great communicator." "Matt and his team were fantastic! They sat down and explained every part of the process out and was more then happy to answer any questions we had. They worked quickly and efficiently getting us in our new home by our deadline!" "Matt Scott and his team are professional and thorough. He and Joann are readily available to answer any questions and will take the time to help you understand any part of the loan process. I highly recommend Matt Scott and his team to help you secure your loan. You will not be disappointed!"